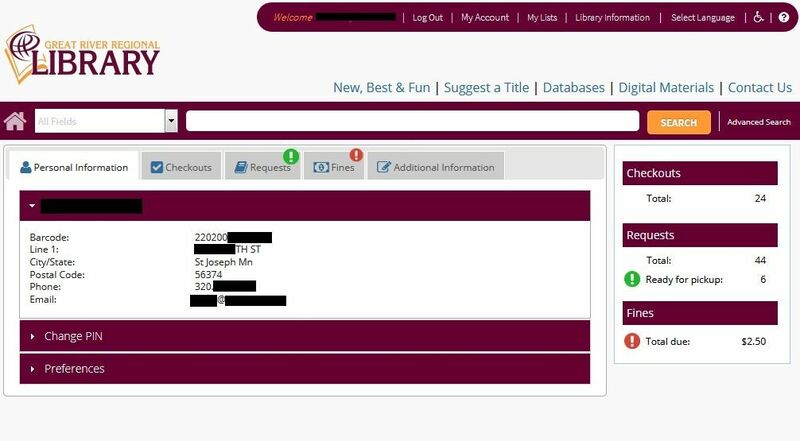 To pay fines you must be logged in to our new catalog. 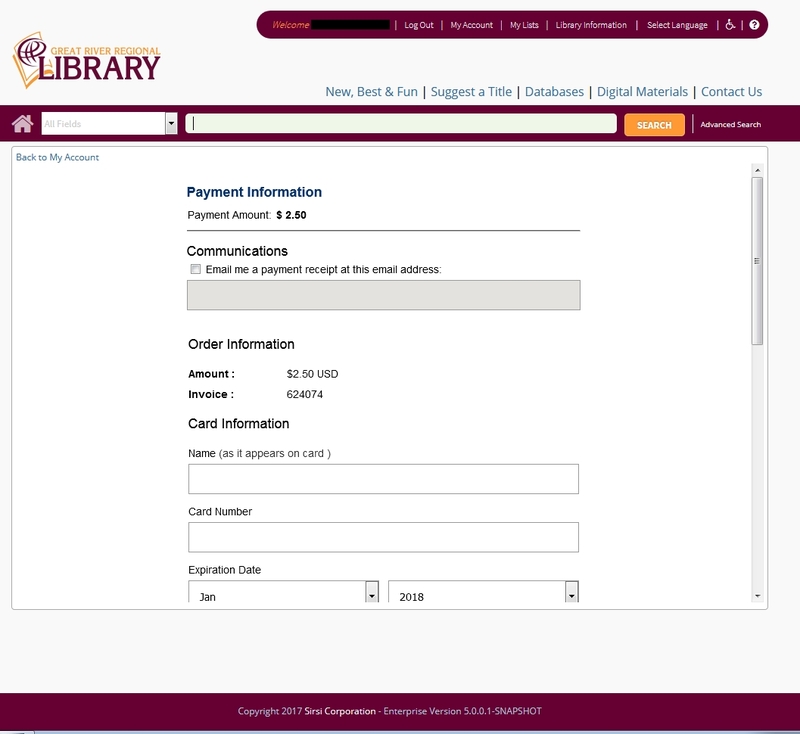 If you came to this page from our current catalog you will need to log into the new system to pay your fines. The instructions below will walk you through the steps to pay fines in our new catalog. Online credit card payments are available for any payments of $1.00 or more. 1. 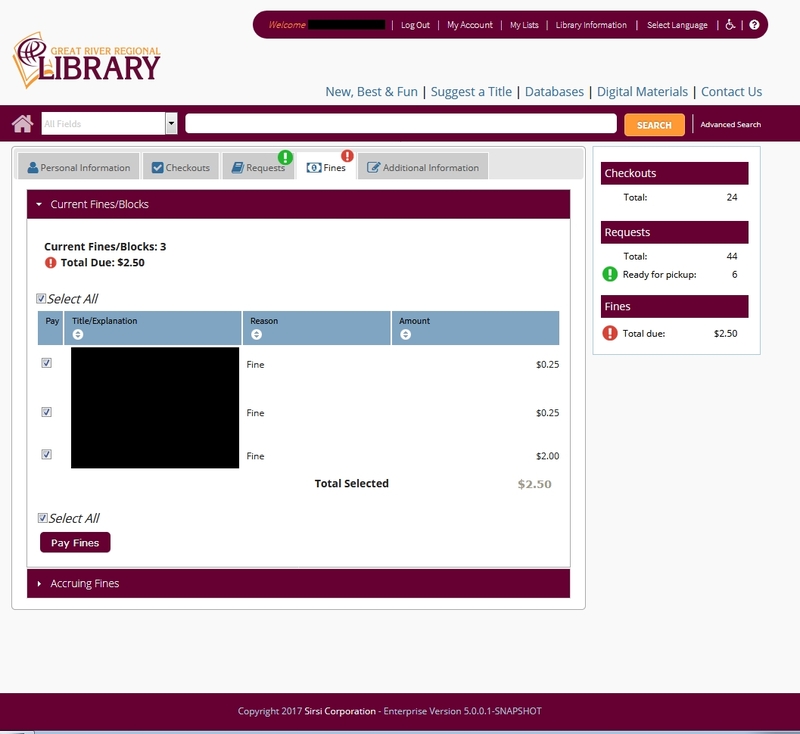 Click this link for the new library catalog. 2. Click on My Account at the top of the screen and Log In. Your information will show. 3. Click the Fines tab below the search bar. 4. If fines are more than $1 total, click Pay Fines. Our credit card vendor does not accept payments of less than $1.00. In order to get a receipt, you must click the box "Email me a receipt" and include your email address. Fill in your address and payment information. 5. 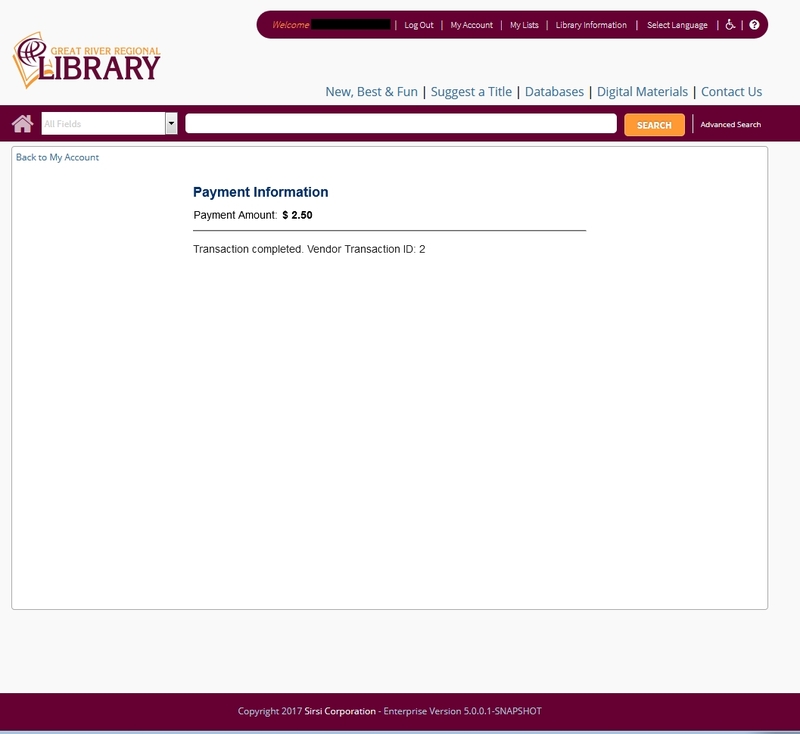 The Payment Information screen will show that your payment has been submitted.